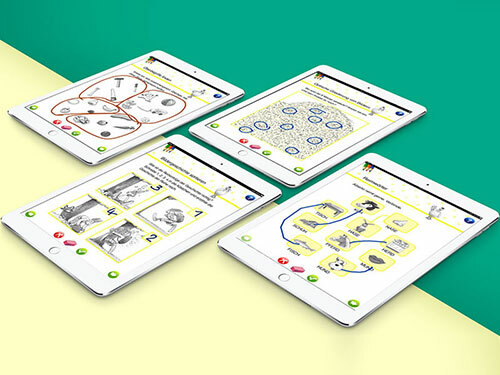 For our client Quinto, we developed an interactive app which is also a book with appropriate learning exercises for children to relate to and learn. In total there are four series Lernspass Schulstart 1. Klasse, Lernspass Schulstart 2. Klasse, Lernspass Schulstart 3. Klasse and Lernspass Schulstart 4. Klasse. As the grade increases, so does the complexity of the game. A child learns a lot through this app and learning becomes more fun and intuitive. Basic games include connecting the dots, puzzle and a lot more wherein when the game is completed we have incorporated a setup page which gives the correct answer. Through this, the answers can be compared and evaluated by the child itself. A conventional book couldn't get more interesting which we delivered via this app!